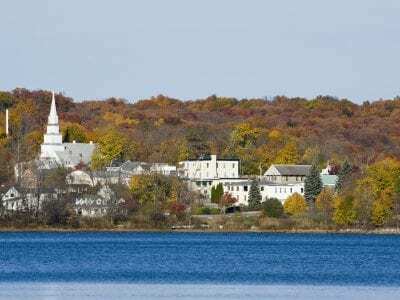 Putnam Legislator Neal Sullivan remembers growing up as a child along Seminary Hill Road in Carmel and marveling at the beauty and majestic scenery of Lake Gleneida. 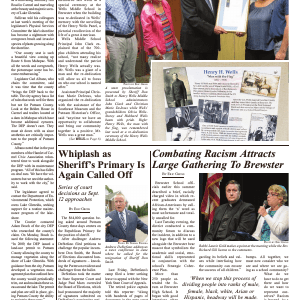 Sullivan told his colleagues at last week’s meeting of the legislature’s Physical… Please login below or purchase a subscription to the Putnam County Courier to access this content. Andrew DeStefano addresses a news conference in June where he called for the resignation of Sheriff Don Smith. 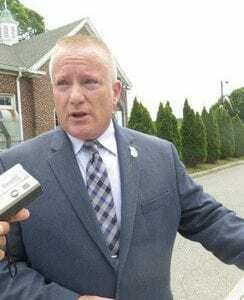 PHOTO BY NORMA PEREIRA The $64,000 question being asked around Putnam County these days centers on the Republican Primary for the positi… Please login below or purchase a subscription to the Putnam County Courier to access this content. A 15-year-old Kent boy is lucky to be alive after diving into a pool at a Kent Cliffs residence and knocking himself unconscious. Kent Police were summoned to the home in a remote section of Hortontown Hill Road last Wednesday afternoon after a 9-… Please login below or purchase a subscription to the Putnam County Courier to access this content. The Putnam County Industrial Development Agency (IDA), which nearly disbanded over a year ago, is about to be relaunched. This is very timely and our business community cannot wait. As Legislator Bill Gouldman says, “The future of our county is throu… Please login below or purchase a subscription to the Putnam County Courier to access this content. Al Lotrecchiano and his crew of dedicated volunteers don’t mind rising early every other morning to keep the county seat adorned in beautiful foliage. 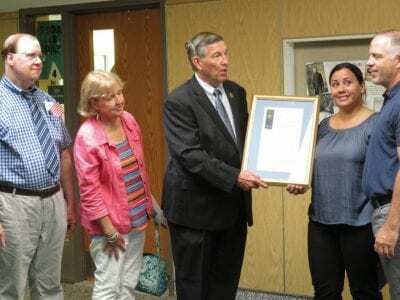 Throughout the summer, at 5 a.m., the Carmel resident and his fellow Rotarians, Lou Margolus, Mike … Please login below or purchase a subscription to the Putnam County Courier to access this content.